FC Kansas City scored twice in six minutes during the first half thanks to Sydney Leroux and Katie Bowen, and kept the lead until the final whistle in the 3-1 win over the Chicago Red Stars. Forward Shea Groom provided both assists, and substitute Maegan Kelly scored the final insurance goal with a chip over Red Stars goalkeeper Alyssa Naeher. FC Kansas City goalkeeper Nicole Barnhart saved a penalty from Red Stars forward Christen Press during first-half stoppage time after Casey Short drew a foul in the box. But midfielder Julie Ertz provided the lone tally at Toyota Park for Chicago on Sunday, denying Barnhart the clean sheet. Leroux kicked off scoring thanks to Shea Groom first stripping the ball from the Red Stars, then threading through traffic and feeding Leroux as she called for it near the penalty spot. While Naeher came out and went for the save with her feet, Leroux’s low finish went into the left corner of the goal to put FC Kansas City up on the road 1-0. Six minutes later, Groom stripped Sam Johnson and had plenty of options in the box for the final touch past Naeher. Defender Katie Bowen had the wide open look at goal for the 2-0 lead. Groom would be involved in one other key play before the end of the first half, but this time it involved being shown a yellow card for the foul on Casey Short. Press stepped up for the PK, but Barnhart guessed correctly with her diving save. Chicago came out swinging at the start of the second half, but it took them until the 64th minute to end Barnhart’s clean sheet. After a nifty give-and-go with Yuki Nagasato, Julie Ertz scored her third goal of the season, and first since May to get the Red Stars within one. Chicago has now lost their last three games, all in an eight-day span, all at home in Toyota Park. The Red Stars are third on the table, but tied with the Orlando Pride at 29 points and only ahead thanks to their head-to-head record against the Pride. Despite the 56.5% edge in possession and outshooting Kansas City 24 to 9 on Sunday, the Red Stars couldn’t earn a result at home. The rest of their season doesn’t get much easier either, with only one home game remaining, and games against the top two teams in September. FC Kansas City pushed into seventh on the table tonight, only six points back from the final playoff spot, and with their five final games against the Orlando Pride, Sky Blue FC, the Red Stars, Seattle Reign FC and the Houston Dash, sneaking into the top four is doable if they extend their new three-game winning streak. Match ends, Chicago Red Stars 1, FC Kansas City 3. Second Half ends, Chicago Red Stars 1, FC Kansas City 3. Alyssa Naeher (Chicago Red Stars) is shown the yellow card for a bad foul. Foul by Alyssa Naeher (Chicago Red Stars). Substitution, FC Kansas City. Caroline Flynn replaces Sydney Leroux. Attempt blocked. Sofia Huerta (Chicago Red Stars) right footed shot from the centre of the box is blocked. Assisted by Christen Press. Substitution, Chicago Red Stars. Lauren Kaskie replaces Samantha Johnson. Substitution, Chicago Red Stars. Summer Green replaces Taylor Comeau. Goal! Chicago Red Stars 1, FC Kansas City 3. Maegan Kelly (FC Kansas City) left footed shot from outside the box to the centre of the goal. Assisted by Lo'eau LaBonta. Attempt missed. Alyssa Mautz (Chicago Red Stars) header from a difficult angle on the right is close, but misses to the right. Assisted by Yuki Nagasato with a cross. Attempt missed. Maegan Kelly (FC Kansas City) left footed shot from the centre of the box is close, but misses to the left. Assisted by Shea Groom. Substitution, Chicago Red Stars. Alyssa Mautz replaces Arin Gilliland. Substitution, FC Kansas City. Lo'eau LaBonta replaces Brittany Ratcliffe. Attempt missed. Brittany Ratcliffe (FC Kansas City) right footed shot from outside the box misses to the right. Assisted by Sydney Leroux. Goal! Chicago Red Stars 1, FC Kansas City 2. Julie Ertz (Chicago Red Stars) right footed shot from the centre of the box to the bottom right corner. Assisted by Yuki Nagasato with a through ball. Attempt saved. Taylor Comeau (Chicago Red Stars) right footed shot from outside the box is saved in the bottom left corner. Assisted by Danielle Colaprico. Attempt missed. 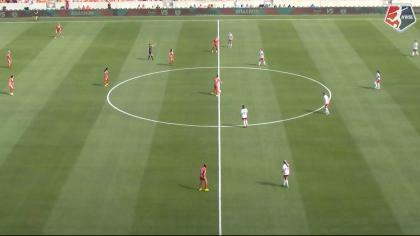 Arin Gilliland (Chicago Red Stars) left footed shot from the right side of the box is close, but misses to the right. Assisted by Christen Press. Attempt blocked. Casey Short (Chicago Red Stars) right footed shot from the left side of the box is blocked. Assisted by Julie Ertz. Attempt blocked. Taylor Comeau (Chicago Red Stars) right footed shot from the centre of the box is blocked. Assisted by Christen Press. Attempt missed. Yuki Nagasato (Chicago Red Stars) header from the centre of the box misses to the left. Assisted by Arin Gilliland with a cross following a corner. Attempt missed. Taylor Comeau (Chicago Red Stars) left footed shot from the right side of the box misses to the right. Attempt missed. Arin Gilliland (Chicago Red Stars) right footed shot from the right side of the box is high and wide to the right. Assisted by Christen Press with a cross following a corner. Second Half begins Chicago Red Stars 0, FC Kansas City 2. First Half ends, Chicago Red Stars 0, FC Kansas City 2. Julie Ertz (Chicago Red Stars) hits the left post with a header from very close range. Assisted by Danielle Colaprico with a cross following a corner. Penalty saved! Christen Press (Chicago Red Stars) fails to capitalise on this great opportunity, right footed shot saved in the bottom left corner. Penalty conceded by Shea Groom (FC Kansas City) after a foul in the penalty area. Attempt missed. Samantha Johnson (Chicago Red Stars) right footed shot from outside the box misses to the left. 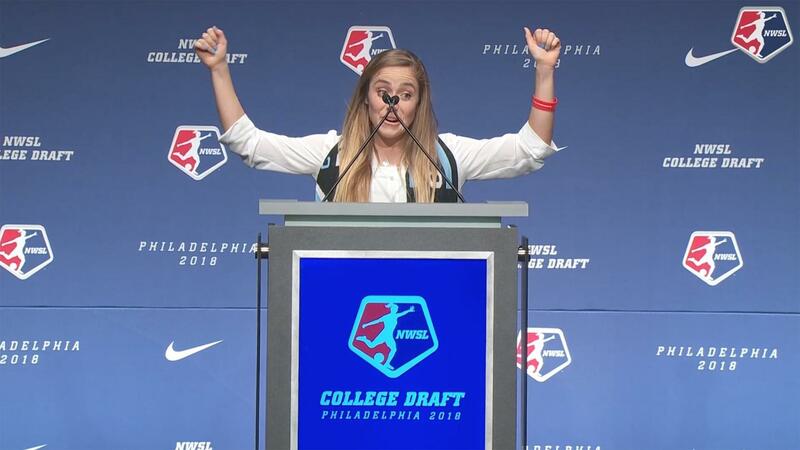 Assisted by Julie Ertz. Attempt saved. Sydney Leroux (FC Kansas City) right footed shot from the centre of the box is saved in the centre of the goal. Assisted by Shea Groom. Attempt missed. Christen Press (Chicago Red Stars) right footed shot from outside the box is too high. Assisted by Yuki Nagasato. Attempt saved. Shea Groom (FC Kansas City) right footed shot from outside the box is saved in the top left corner. Goal! Chicago Red Stars 0, FC Kansas City 2. Katie Bowen (FC Kansas City) right footed shot from the centre of the box to the centre of the goal. Assisted by Shea Groom. Attempt saved. Arin Gilliland (Chicago Red Stars) header from the centre of the box is saved in the bottom right corner. Assisted by Katie Naughton. Attempt saved. Shea Groom (FC Kansas City) left footed shot from outside the box is saved in the bottom left corner. Goal! Chicago Red Stars 0, FC Kansas City 1. Sydney Leroux (FC Kansas City) right footed shot from the centre of the box to the bottom left corner. Assisted by Shea Groom. Attempt missed. Christen Press (Chicago Red Stars) header from the left side of the six yard box is just a bit too high. Assisted by Arin Gilliland with a cross. Attempt saved. Katie Bowen (FC Kansas City) right footed shot from outside the box is saved in the top left corner. Assisted by Sydney Leroux. Attempt saved. Christen Press (Chicago Red Stars) left footed shot from the left side of the box is saved in the centre of the goal. Assisted by Yuki Nagasato. Offside, Chicago Red Stars. Alyssa Naeher tries a through ball, but Christen Press is caught offside. Attempt missed. Taylor Comeau (Chicago Red Stars) right footed shot from the centre of the box misses to the right. Assisted by Yuki Nagasato. Attempt missed. Arin Gilliland (Chicago Red Stars) header from a difficult angle on the right is close, but misses to the right. Assisted by Sofia Huerta following a set piece situation. Attempt saved. Christen Press (Chicago Red Stars) right footed shot from outside the box is saved in the bottom left corner. Assisted by Casey Short.